Thanks to sub-zero temps and whipping winds, we've found ourselves staying indoors more often than usual this winter. All that time spent cooped up inside may have you craving some lush greenery. We curated some of our favorite plants this winter, and for those without a green thumb, we picked only the easiest ones to care for. This mini juniper comes nestled in a chic copper planter and looks good on just about everything. 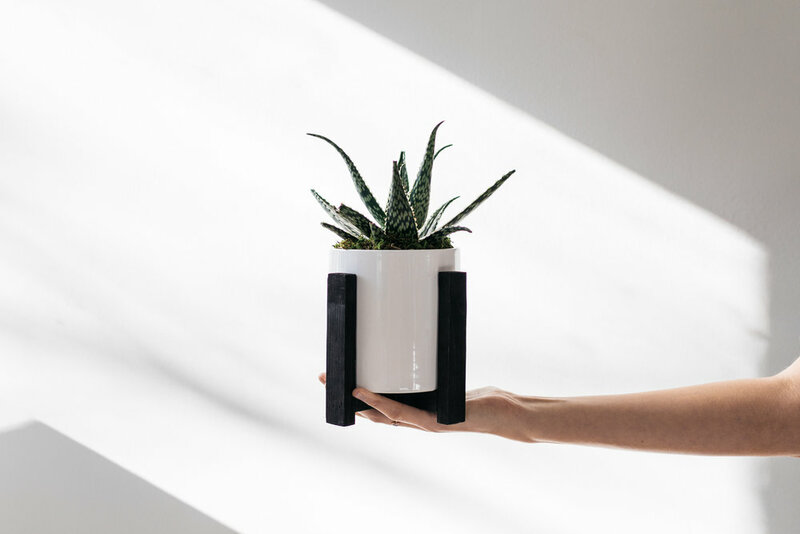 One look at The Harlow, a patterned gasteria succulent in a black-and-white planter, and a sense of calm just overcomes you. Sigh, do you feel it? What's better than one cactus? Three. Skip the chances of getting pricked and opt for this trio topped with air plants instead. For those cooped up in smaller spaces, The Parker may be the answer to your plant dreams. Placed on a cypress base for a rustic look, this giant air plant can be hung in the corners of your place or even against one of your walls. Looking for more? See the rest of our plants here.